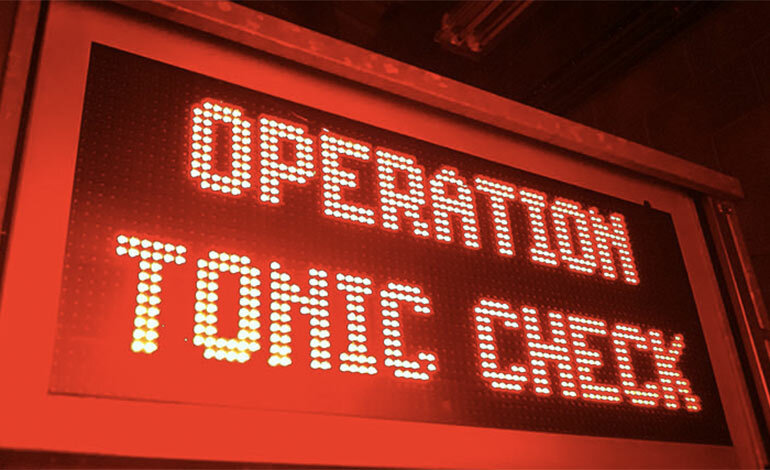 Avon and Somerset Police has once again launched Operation Tonic, their month-long campaign which includes high visibility and covert patrols aimed at targeting drink and drug drivers. During the 2017/18 Winter Operation Tonic campaign, Avon and Somerset Police arrested 146 people for drink and drug driving. This year, those caught driving over the limit will face serious consequences. Penalties include a hefty fine of over £2,500, a driving ban or even a prison sentence. Causing death when under the influence may land drivers 14 years in prison. Members of the public are being warned that being convicted can have effects on everyday life beyond a drink driving fine or ban, which could include a loss of independence, job and financial stability. Supt Andy Williams, Head of Road Safety in Avon and Somerset Constabulary said: “Our approach to Op Tonic promotes education over prosecution where possible and our ultimate aim is to reduce deaths, serious injuries and crime related to drink and drug driving. “This year’s campaign highlights the serious consequences of getting caught by police whilst driving under the influence. Driving is a liberty, it’s your choice to drink and drive and in doing so, you risk losing that liberty. Police and Crime Commissioner Sue Mountstevens added: “Over the festive period, many of us will be having fun, hosting gatherings and socialising with family and friends. Last winter, Avon and Somerset Police received over 340 tip offs from members of the public who were asked to call or text with information about intoxicated drivers. Officers were able to respond to three quarters of tip off calls and all other information received was fed into future investigations and intelligence for ongoing road safety management. Police are once again asking members of the public to call 999 if they know about someone who is currently driving under the influence. In less urgent cases, and when the driver isn’t behind the wheel, text 07400 279101 with the word ‘drunk’ and details of the car, location and driver.